People said these things not because they believed them but because they were respectful of the gods. You did not praise your loved ones for fear of offending the gods, for fear of arousing the gods’ jealousy. 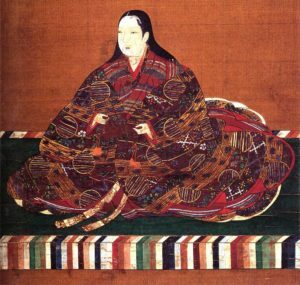 But new father Toyotomi Hideyoshi, 52, and one of the greatest warlords Japan ever had, was so thrilled when his concubine, Lady Yodo, presented him with his first son, that he broke this rule. 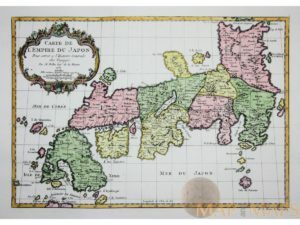 In a world where lineage and connections meant everything, and no one below a samurai counting for anything, Hideyoshi was born a peasant. His father was a foot-soldier. As a youth, he became a servant to a local ruler. He did not serve this ruler so well. In fact, he stole money and had to flee. Changing his name, he joined another ruler, this time, a little bigger, a little more powerful. He became, like his father, a foot soldier. 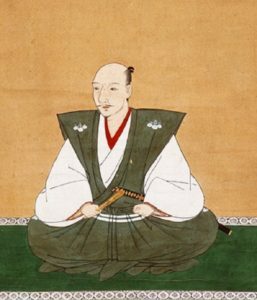 Gradually, Hideyoshi worked his way up, finally earning a surname. The lord he served so well, Oda Nobunaga, rose to the pinnacle of power before he was assassinated. Into the breach, with a combination of battles and negotiations, Hideyoshi took over where Nobunaga left off, unifying and ruling Japan. Hideyoshi’s love for his son knew no bounds; he marveled at the little boy and took him everywhere with him. He praised him to all who would listen. Before his third birthday, the little boy got sick. Not even the finest doctors in the land could save him. Hideyoshi felt grief that had no end. Two years later, Lady Yodo gave birth to a second son. Hideyoshi adored this son, too, but this time, he was careful not to offend the gods, calling his son stupid and hiding his love. And this son outlived his father.